You will get to see the beauty of the island and feast your eyes on the enchanting sights of picturesque crystal-clear lagoons, pristine coastlines, undulating sugar cane fields and other spectacular views, including the phenomenal Underwater Waterfall. 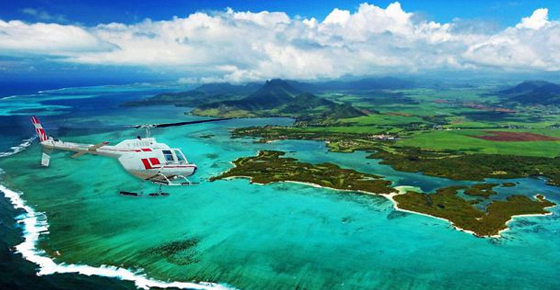 Our helicopter sightseeing tours range from 15 to 60 minutes of flight. The tours can cater for up to 6 people who wish to explore the awe-inspiring views of the tropical island. 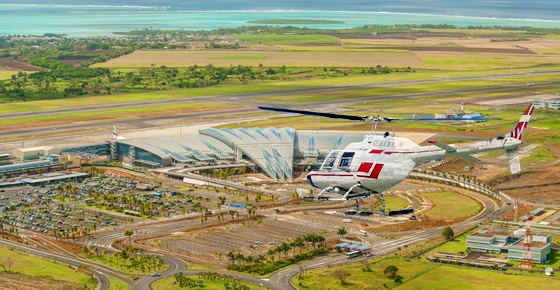 Flight tours can be arranged either from the Airport or your preferred helipad. Choice between 30 / 45 / 60 minutes flights. Seating capacity of 4 passengers maximum. .. Choice between 30 / 45/ 60 minutes flights. Seating capacity of maximum 4 passengers. .. 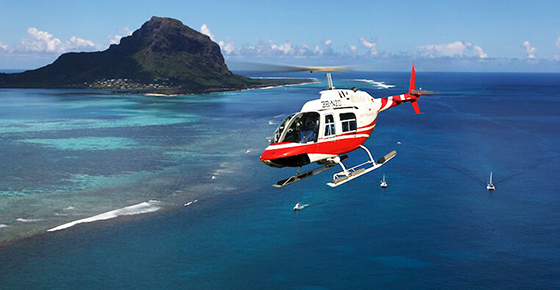 Choose between 20 / 40/ 60 minutes of an Exclusive Helicopter Sightseeing Tour. Maximum number of pa..